All you need to take care of your OMNIFERA wraps. WASHING Your wrap arrives in a loom state. It is required to wash your wrap prior to a first use. Always follow washing instruction on the label of your wrap. Use a mild detergent (such as our Olive Laudry Liquide Sensitive) and do not use harsh detergents that contain bleaches or brighteners. Fabric softener reduces the life of the fabric and makes it lose grip (you can use our Laudry Rinse instead). Every wrap requires different temperature depending on contents of the fabric. If your wrap requires a hand wash, wash it gently in your bath tube in a luke warm water. Use a mild wool detergent (such as our Olive Laudry Liquide Sensitive). Never squeeze your wrap after washing. Roll it in a towel and press gently with your hands (perfect time to use your Beach MOM for this purpose!). Place horizontally when drying. Iron your wrap on silk/wool settings. DRYING We do not recommend tumble drying, though tumbling them shortly at a low temperature after drying can help soften and ‘break in’ cotton and linen wraps. NEVER tumble dry wool and silk blend wraps! Also avoid drying silk and wool blends in a direct sunlight. IRONING Cotton and linen wraps can be steamed to avoid the fabric creasing along the same lines repeatedly, which can lead to wear. Wool blend wraps can be ironed on a low heat settings and silk blends should be ironed on a cool settings. Forget about unwanted pilling and destroyed knits. With sharp,strong razor blades and a powerful engine, Pilo Fabric Shaver is the perfect tool to repair and smooth out a damaged fabric surface. 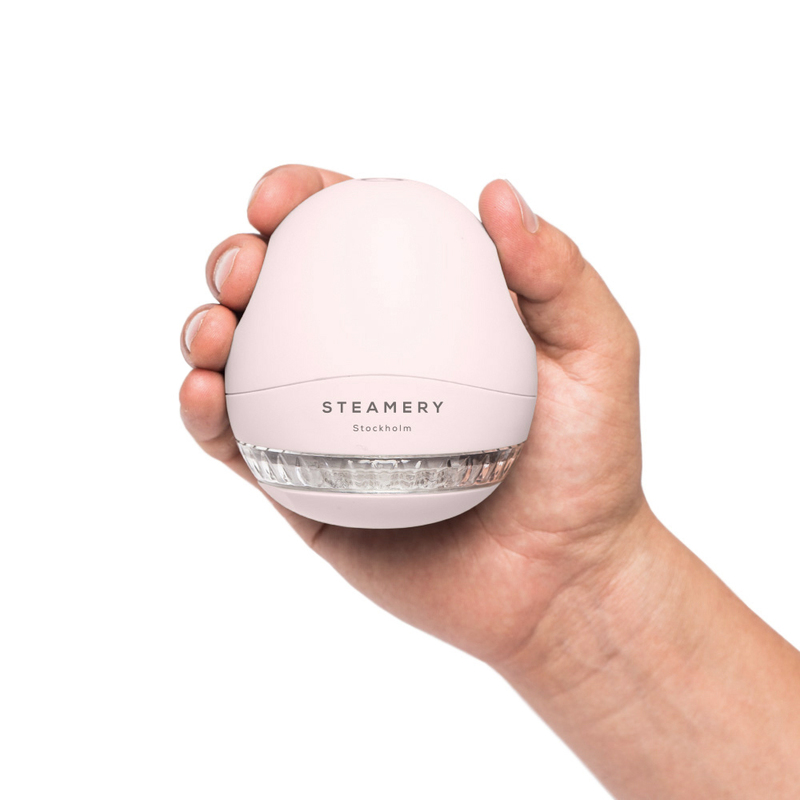 Take it with you wherever you go thanks to its small size and smart USB charging. We carefully chose Pilo Fabric Shaver to our wrap care selection, but you can use it on your cloths as well. Please don’t shave your beautiful wraps with nubby silk and other fancy yarns, these lovely nubs and slubs belong there! This oiled pearwood handmade brush with natural bristles keeps your wraps and clothes free from lint, hair and fur. It is gentle and effective and can thefore be used on most materials. Our selection of three products that work best with all OMNIFERA wraps. Read our blog post about washing detergents. We were looking for the best detergent for our wraps that would be truly non-toxic, gentle for baby’s skin and our exclusive materials. We believe that Sonett is the best and cleanest solution available and that is why we include it in our care selection. This detergent is great for all OMNIFERA wraps, from cotton to silk and wool. 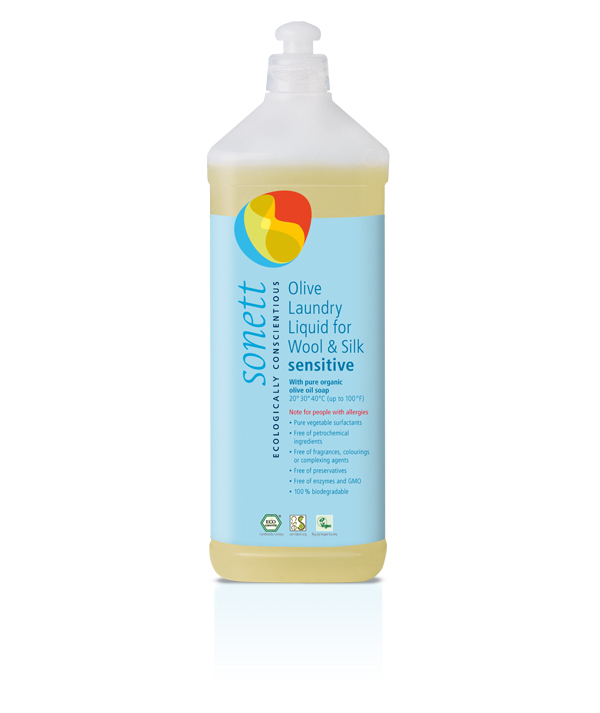 Great addition to our Sonett Olive Laundry Liquid for Wool and Silk Sensitive. Suitable for all types of fabrics and washing programmes. Add to the final rinsing water. 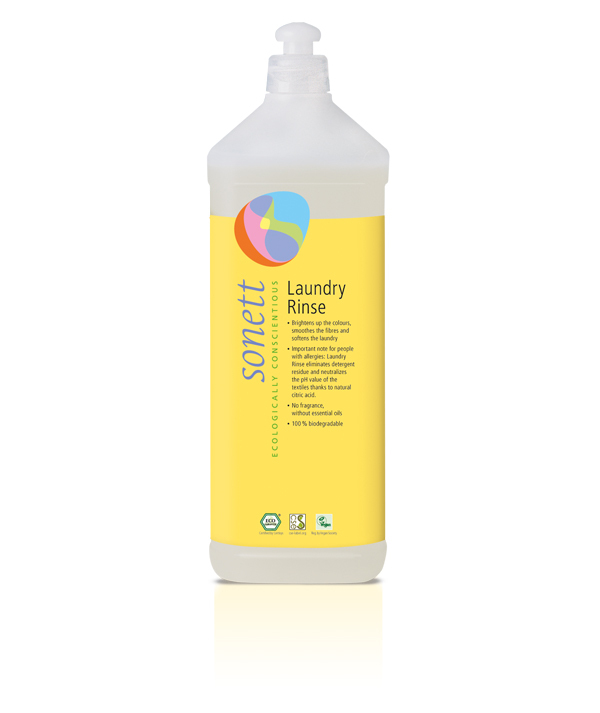 Sonett Laundry Rinse helps to rinse out detergent residue and neutralizes the rinsing water (important for allergy-prone people). It brightens up colours, smoothes fibres and softens fabrics. We recommend it with all our blends. For the 4.5 kg (10 lb) washing machine fill approx. 40 ml (1.4 fl oz US) into the softener compartment of your washing machine. 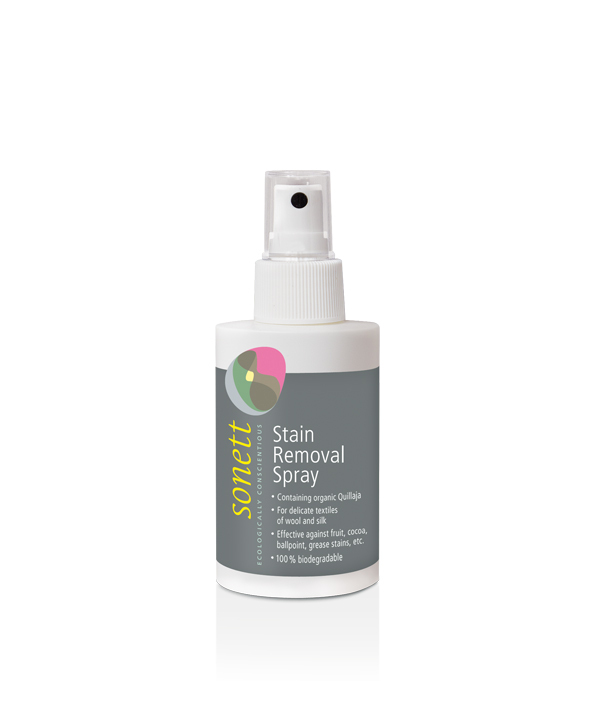 For those situations there is Sonett Stain Remover Spray. Organic Quillaja extract and sugar surfactant combined result in a highly effective as well as gentle agent for removing stains, thus being optimally indicated for delicate textiles, wool, and silk. grease stains, etc. 100% biodegradable. For stain removal: Also on delicate textiles such as wool and silk (test fabric's colour fastness on a concealed spot, if necessary). Put paper towel underneath the stained textile, spray stain from closest proximity and leave on to be effective for approx. 30 sec., thoroughly dab with absorbent paper from above – do not rub. Moisten new sheet of paper with water, place dry sheet of paper under the textile and once again dab thoroughly. For pre-treating garments: Spray stained textile from closest proximity and leave on to be effective for approx. 10 min. Put garment straight into the washing machine.